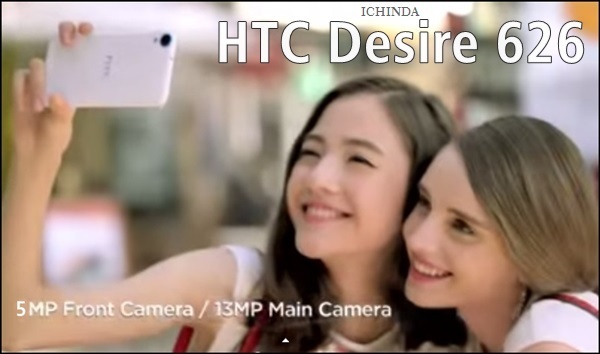 To became the first choice of mid-range buyers, Taiwani handset maker, HTC planning to launch it’s best mid-range smartphone, the all new HTC Desire 626 with fastest 64-Bit Octa-core processor, 5”-inch HD display and 13-MP rear + 5-front camera. 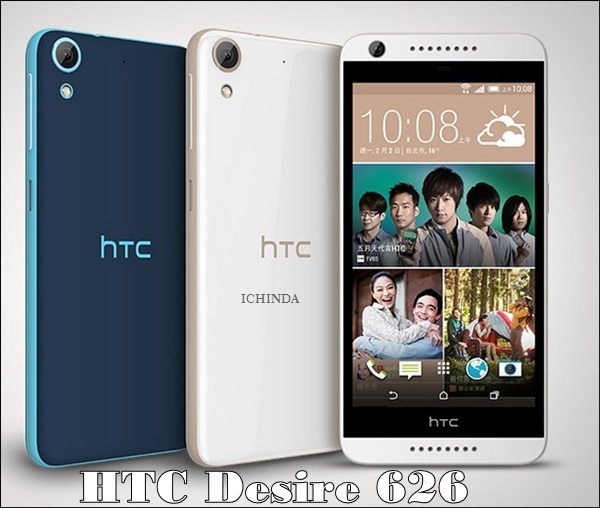 HTC Desire 626 shares plate form with Desire 826 slated to launch in This March at MWC 2015 expected priced at $200(Approx Rs 12,000 in India). HTC Desire 626 is recently listed on HTC Online store at TWD 5,990 (approx. Rs. 11,800). It will lock horn with Samsung Galaxy A7, Samsung Galaxy E7 and Samsung Galaxy Grand Max. According to Leaks, HTC Desire 626 will comes both Single and Dual-SIM(GSM+GSM), Nano SIM variant with Wi-Fi, FM radio, Bluetooth, GPRS/ EDGE, GPS/ A-GPS, 3G and 4G LTE comes with a bigger 5”-inch HD (720x1280pixels) display delivers stunning color consistency from almost any angle perfect for watching movies, playing games and reading e-books. HTC Desire 626 will run on Android 4.4 kitkat OS with HTC Sense UI skinned on top powered by a 1.7GHz octa-core Mediatek MT6572 processor with 2GB RAM and quad-core Qualcomm Snapdragon 410 with 1GB RAM promising superior gaming environment and blazing multi-tasking while 16GB Internal memory expandable up to 128GB via MicroSD card offers enough space to store your date. Desire 626 lets you capture your favourite moment with 13-MP Primary camera with LED flash, f/2.2 lens and BSI sensor and 5-MP front-facing camera offers you the best video calling experience and clicking selfies. It also packed with a 2000mAh battery promising enhanced Stand by time up to 761 hours, Talk Time up to 30 hours comes in Dimension 146.9×70.9×8.19mm and Weight 140gm. At last few honest word from heart that the all new HTC Desire 626 is the best mid-range smartphone coming to rule the world. What you think? Please be open to give your view. I AM waiting for this…..!!! Please tell me whether HTC 626 supports 1.2Ghz quadcore processor with 1GB ram or 1.7 Ghz octa core processor with 2GB ram ?? ?please reply me …. Hi are we having the choice to ude fual sim or only sim can be operated? ?